Have you ever felt scared in unfamiliar surroundings? Perhaps you’ve been involved in an incident in which you were unable to defend yourself. 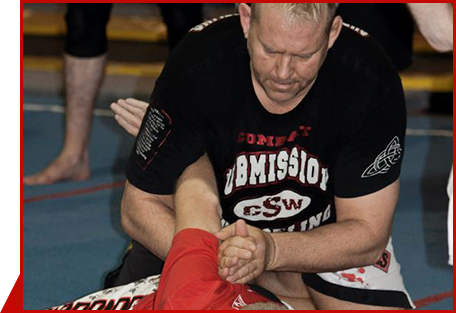 Find the power to fight back by training at Spring Cypress Martial Arts. 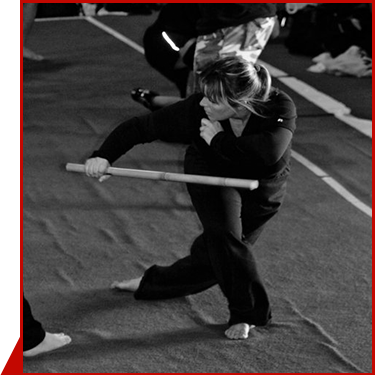 We provide instruction in a range of martial arts that were founded in Japan, China, Korea, and Southeast Asia. We’re happy to explain the focuses of the different martial arts we teach so you can find the self-defense training in Spring, TX, that’s right for you. Every person, regardless of age or gender, deserves to feel safe and protected. At our training center, we teach students of all ages and from all backgrounds. Our instructors understand how to build up from the basics and adjust their teaching methods based on the needs of their students. Typically, women’s self-defense classes focus on using an opponent’s momentum and body weight against them. This way, women don’t have to feel intimidated if they encounter a large attacker. 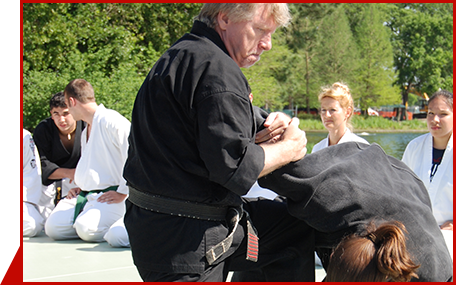 Of course, women and men can train in any martial arts style we offer. Each has its own advantages. For example, Filipino Kali-Arnis-Eskrima is excellent for defending yourself from someone with a knife. Wrestling, on the other hand, is good for close hand-to-hand combat. Talk to our instructors about your goals, fears, and needs. Whether it’s to build on the basics of Kung Fu or to gain more confidence after you’ve been involved in a knife fight, we’ll provide you with the children’s, women’s, or men's self-protection training you need to overcome your fears and feel safer wherever you go. 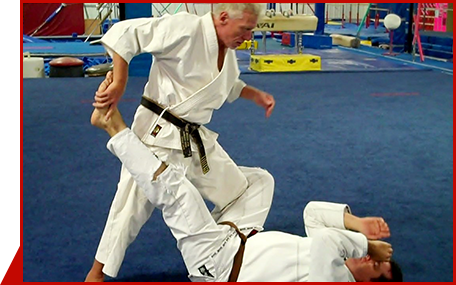 Contact us today to learn more about our martial arts classes. We teach students at our location in Spring, Texas. Spring Cypress Martial Arts offers students a range of choices when it comes to pursuing a martial arts education. We provide instruction in a variety of martial arts systems from different parts of the world, including jiu-jitsu and karate from Japan. Contact us for martial arts in Spring, TX, and the surrounding areas. Spring Location: Monday and Wednesday, 6:30-7:30 p.m.
Cypress Location: Tuesday and Thursday, 8:00-9:00 p.m.
Ju-Jitsu is the father of modern Judo. Working with joint manipulations, some say that the system is similar to folding laundry while your opponent is still in them. Working with body angles for throws and take downs, for submissions on the ground, or standing positions using traps or come-along holds, Ju Jitsu is the perfect system for control of a much larger opponent. Spring Cypress Martial Arts expands on the traditional idea of martial arts instruction. Our extensive experience with different systems allows us to offer our students a variety of choices. In addition to martial arts with Japanese origins, we offer systems developed in Southeast Asia that are becoming more and more popular. Contact us for classes in Houston and Spring, Texas. Cypress Location: Monday and Wednesday, 7:30-8:30 p.m. and Tuesday and Thursday, 9:00-9:30 p.m.
Spring Location: Monday and Wednesday, 7:30-8:30 p.m.; and Saturday, 9:00-10:30 a.m. These 5 systems together, give a martial artist, a strong, well rounded personal system of kung fu. known for it's strong and agile attacks, spherical hand and arm motions, and direct line, forward aggression thought process. Tiger claw techniques are similar to the way a cat plays with a ball. Batting and then extending the claws to grab, rip and tear. Fast and technical, this system uses forward and backward lunging motions for "sneak attacks" similar to the way a cat would lean back and forth without losing it's ground while fighting. Leopard paw target areas such as arm pits and inner thighs, are then followed up for the final blows to vital areas of the body. Being very still as it hunts through shallow water, the graceful crane system is more defensive than the tiger or leopard. At longer ranges, reaching to make contact, the eyes, throat, groin and heart are targets of this system of combat. Evasive movement to attacks with the cranes beak, to surgical areas of the body to impact nerves and energy lines. Targeting the eyes, throat, and groin, the 1, 2 or 5 fingers snake hand and the toes of the foot to pressure points, high and low. Multiple attacks, hands and feet in unison, make this system of kung fu difficult to deal with. Dealing with an attack either high or low is one thing, both at the same time is something else entirely. The dragon claw, similar to a palm strike but with the fingers slightly bent, the dragon tail kick, used to sweep, using very relaxed muscles to go from soft spherical sweeps to hard linear strikes, uses the attributes of the other animals to blend it's spirit into a total fighting concept. *Classes taught Monday/Wednesday at the Spring location from 7:30-8:30. There are several variations of how this close quarter battle system came into being, some with a snake and a crane, some with a crane and a gorilla...my personal favorite...and a few other ideas, but the ideas are the same. The best way to defeat a larger opponent. Sometimes called elevator boxing, Wing Chun is perfect for defense in a small, confined area. Between cars, in a doorway, in a crowded room, or between tables in a bar. Generating power in close range punches and kicks, while standing your ground is the base for this system of in-fighting. If Indonesian Silat is the spherical Kung Fu system of CQB, then Wing Chun is the linear Karate system. Trapping an opponents hands, arms and legs, with one hand, while delivering short range vertical strikes with the other, all of your bodies energy and force is directed only at your attacker. Each system of martial art is designed for it's own range of combat. Wrestling is perfect for the ground, but horrible against someone using a knife. Boxing is great for being arms length but doesn't work well against an opponent with a 10 foot staff. So each system has it's "holes" for a true martial artist, but none would be complete without the long range kicks from Tae Kwon Do. Reaching, jumping, spinning, or just kicking straight ahead, TKD employees kicks to the body and head with accuracy few other systems can manage. Developed in Korea, and today an Olympic sport, TKD is one of the most popular systems of martial art taught to children.